Last week the University’s Board of Trustees approved our recommended promotions with tenure for Kara Millonzi and Rick Morse. Let me share a few excerpts from my letters to Provost Carney that recommended their promotions to associate professor. Kara’s “energy and productivity have been impressive, and she has distinguished herself across all facets of her work with us. In 2010 she became the Albert and Gladys Coates Distinguished Term Assistant Professor of Public Law and Government.” Another colleague described her as “one of the most gifted teachers we have at the School of Government and she has differentiated herself as being one of the most energetic and innovative new instructors.” A nationally recognized scholar in the field of public finance concluded that one of Kara’s publications is “an outstanding reference guide for public officials and professionals” and that she “has contributed to the broader intellectual community of scholars while providing useful information for your state-centered intended audience.” Kara has willingly and enthusiastically expanded her areas of expertise beyond local government finance to become an expert in general county government law. Rick’s work in the area of community and regional collaboration has broken new ground for the School, and he also has done valuable work in public leadership and citizen participation. After observing his MPA teaching and his teaching for public officials, one of Rick’s colleagues said that his “classroom had an air of engagement, excitement, curiosity, and appreciation for what was being presented.” A leading public administration scholar stated that Rick’s “works represent a strong commitment to high quality writing that bridges the gap between theory/academic research and practice.” He is “doing leading research on citizen engagement—a topic of increasing importance in the field of public administration.” Local officials have praised his good work in advising them in the areas of community collaboration and citizen participation. The trustees also approved two other important faculty appointments for the School―Leisha DeHart-Davis and Tom Ross. The trustees approved our recommended appointment of Leisha DeHart-Davis as a tenured associate professor working primarily in the field of human resources. She is a versatile scholar who will help us in a number ways. According to one national reviewer, Leisha is “smart as they come, creative in her thinking, a true collaborator, and a genuinely nice human being.” Another outside reviewer described Leisha this way: “She is not a cloistered scholar of arcane subjects, but an able and perceptive student of the contemporary public sector workplace, bureaucratic behavior within it, aspects of municipal management, the role of women in government, and public policy issues of the day.” He describes our recruitment of Leisha as “a splendid catch.” I completely agree and I look forward to the many good things she will do for the School. One of Leisha’s outsider reviewers pointed out that she was one of 54 “new scholars with promise” invited in 2008 to a conference on the future of public administration at Minnowbrook, New York. The reviewer concluded that those scholars “still are, considered the best and the brightest…the rising stars in the field.” In addition to Leisha, that group also included our own Willow Jacobson and Rick Morse. Very cool. Finally, the trustees approved the appointment of Tom Ross, President of the UNC System, as a tenured professor at the School. It is customary for senior university administrators like chancellors and presidents to hold academic appointments that take effect at the end of their administrative service. Whenever Tom decides to step down as President, which I hope will not be any time soon, he will have the option of moving to our faculty. My hope is that we can find manageable ways to involve him in our work now so that he will not be tempted to do anything else (like become Baseball Commissioner) when that time comes. It would be wonderful for the School if Tom could end his career where it started, which is right here. Many thanks to everyone who helped put together the appointment package for Tom in record-breaking time, and special thanks to Maggie Ford. Please congratulate Kara and Rick for their promotions with tenure, and I encourage you to welcome Leisha to the School as our newest colleague. If you have the opportunity, please also welcome Tom to our faculty and think about manageable ways he might become involved sooner rather than later. Congratulations to all! I agree with all the reviewers comments. 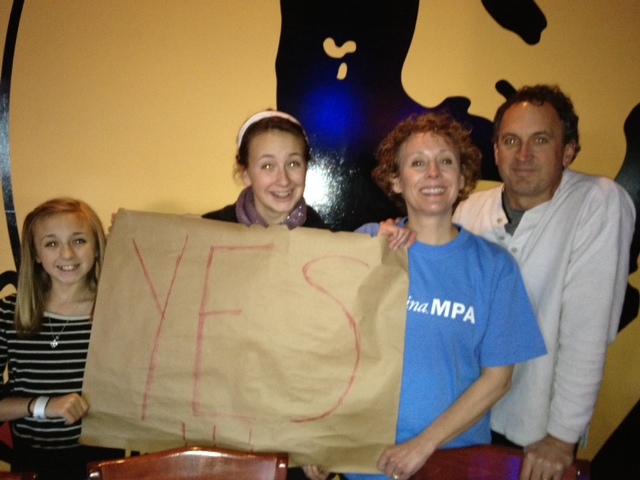 I want to especially say that the MPA faculty are thrilled to have Leisha join us. I’m personally thrilled to have her as a neighbor down the hall.